We often see comments online about Lew Wallace betraying William Bonney–Billy the Kid. The situation really wasn’t as clear-cut as that. Corrupt officials and the Lincoln County War complicated Lew’s relationship with Billy. In September 1878, President Hayes appointed Lew Wallace Governor of New Mexico Territory. Lew spent four days traveling west via the Atchison, Topeka, and Santa Fe Railroad to Pueblo, Colorado. 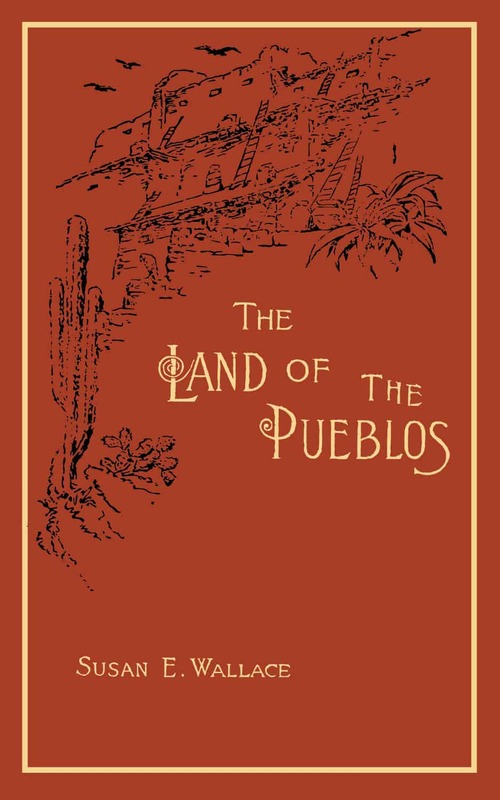 From Pueblo, he traveled on a narrow gauge railway to within 130 miles of Santa Fe, New Mexico. The rest of the journey—two days—was made by stagecoach. He arrived in Santa Fe on September 30, 1878. At this time, the situation in Lincoln County was so dangerous that District Court could not be held safely, they could not find people to serve as jurors, and the U.S. Marshal could not serve arrest warrants. In November, Wallace issued a general pardon to all offenders not already indicted by a grand jury. For many years, Lawrence G. Murphy & Company had a monopoly on government cattle contracts. These contracts were important to the local economy. In 1877, John Chisum, Alexander McSween, and John H. Tunstall established a mercantile company that cut in on Murphy’s business. Murphy hired cattle rustlers to steal Tunstall’s cattle. Tunstall fought back. 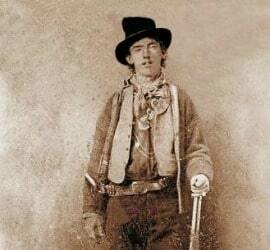 Soon both sides had hired outlaws to fight their battles, including William H. Bonney, aka Billy the Kid. In February 1878, Murphy’s men, led by Lincoln County Sheriff William Brady, shot and killed Tunstall. Later Billy the Kid, who worked for Tunstall, killed Sheriff Brady in an ambush. In July 1878, Murphy’s men had some of McSween’s men surrounded in a house. With the help of U.S. army troops from Fort Stanton, they smoked McSween’s men out. 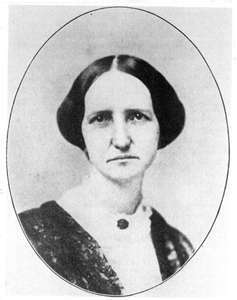 Five men died, including McSween. On February 18, 1879, Huston Chapman, an attorney hired by McSween’s wife, was shot and killed in the middle of the street. The public panic that followed persuaded Wallace to finally go to Lincoln County himself. He left Santa Fe on March 1 with General Edward Hatch, commander of the military district of New Mexico. It took four days over rough roads to reach Lincoln County. Wallace made a list of the 35 worst fugitives and focused on arresting those individuals. Locals were so intimidated, however, that he had no witnesses and could not make arrest affidavits. This led him to an agreement with Billy the Kid. Billy had been indicted for William Brady’s murder, so Lew’s earlier general pardon didn’t apply to him. Wallace proposed that if Billy testified about witnessing Huston Chapman’s murder, he would not be prosecuted for Brady’s murder. They staged a fake arrest on March 21 and took Billy into custody. Billy held up his side of the agreement. On April 14 he testified against the men accused of killing Chapman. However, a local district attorney refused to honor the pardon and tried to move the case to another county. Growing impatient, Billy escaped in June 1879. He eventually returned to his criminal ways. In January 1880 he shot and killed a man named Joe Grant. Lew traveled to Washington, D.C., on territorial business in March 1880. In December 1880, Lew posted a $500 bounty for Billy’s capture. Sheriff Pat Garrett arrested Billy a few days later. In January 1881, Lew returned to Washington, D.C., in an effort to protect territorial citizens from raiding bands of Mexicans. On his way back to New Mexico, he made stops in Indianapolis and Crawfordsville. William Bonney stood trial for murder in March 1881. In April, the judge sentenced Billy to hang. Billy escaped again–killing two deputies in the escape. Lew offered a new $500 bounty for his capture. On July 14, 1881, after Lew Wallace had left New Mexico for his next travel adventure, Garrett again tracked down Billy and killed him. When James Garfield was elected president, Wallace resigned as governor. On May 30, 1881, he boarded a rail car on the Atchison, Topeka, and the Santa Fe to leave New Mexico Territory. Lew calmed the Territory during his term in office from 1878 through 1881. As a result, his tenure in office was considered successful.